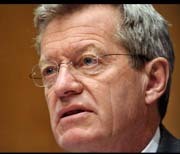 Baucus Health Bill: No Reading, Writing or Arithmetic - and No Transparency! In their urgent rush to force healthcare legislation, democrats IGNORE the Obama administration's assurances of government TRANSPARENCY to the public- previously blogged about on Texas GOP Vote, they IRRESPONSIBLY DISMISS the need to WRITE the bill in the legislative terms that the Congressional Budget Office requires to make a comprehensive COST ESTIMATE before voting on it, and they ARROGANTLY ARGUE that most people don't READ the legislative language anyway! Senator Kent Conrad (D-N.D.) actually argued that having the exact legislative language didn't matter because "there's 5 percent of the American people that understand the legal language." Sen. John Kerry (D-Mass.) was blunt. “Let’s be honest about it, most people don’t read the legislative language." The above statements by Conrad and Kerry illustrate the striking combination of irresponsibility and arrogance in this democratic-led legislative process! Republicans, who have been hot on the idea this year that lawmakers should know what they are voting on, are pressing for the committee to adopt an amendment Wednesday requiring that the legislative language and a cost estimate from the Congressional Budget Office to be posted on the Internet for 72 hours before voting. This probably sounds a little crazy to some people that we are voting on something before we have seen legislative language,” said Sen. Jim Bunning (R-Ky.), who introduced the amendment. “The way legislative language is written, you can have a large impact on the way the policies are implemented."